River Street in Savannah is by far the most well known street in the city! It’s adjacent to the Savannah River, where it’s fun to sit and watch massive cargo ships sail into one of the busiest ports along the East Coast. The area is also famous for hosting one of the largest St. Patrick's Day celebrations in the country. If you're headed to the waterfront and wondering what to do on River Street, don't worry — I've got you covered with the most comprehensive guide on the web. *Please note: I've written additional posts about other areas within the city of Savannah that are just as fun to explore. To keep this (reasonably) short, this guide is for the River Street area only and therefore only references restaurants and shops found along that particular street. Pack comfortable shoes, because you’ll do a LOT of walking along the river. 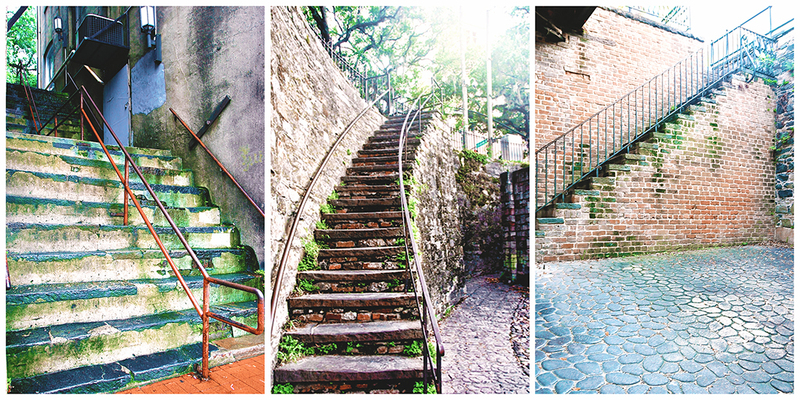 The cobblestone streets, narrow alleyways, trolley tracks, and steep stairways are not high heel friendly! You'll also want to pack bandaids and some sunscreen. My first parking suggestion is…don't. Savannah is a city made for walking, so it's best to take a leisurely stroll to River Street from your hotel or home rental. If that's not an option, pedicabs offer another great way to leisurely check out the sights. Uber and Lyft also blanket the Historic District and can be at your door in minutes. You can also visit the City of Savannah's Mobility & Parking Services website to purchase a 1 or 2 day parking pass for $15 or $24 respectively. The pass allows parking in any city garage or metered parking space with a limit of 1 hour or more for the full day. My favorite place to park when driving to River Street is in Emmet Park off E. Bay Street. It's lined with pretty oak trees that provide a good amount of shade, it's inexpensive, and it's really close to the river. Please note: You'll have to walk down some steep stairs to get to River Street when parking here, so this is not the best option if you have knee problems. But hey…the park still has horse hitches, so you're in luck if you arrive on horseback! TIP: Metered parking spaces are free every day after 8:00 p.m. and all day on Sunday, as well as on all government authorized holidays. 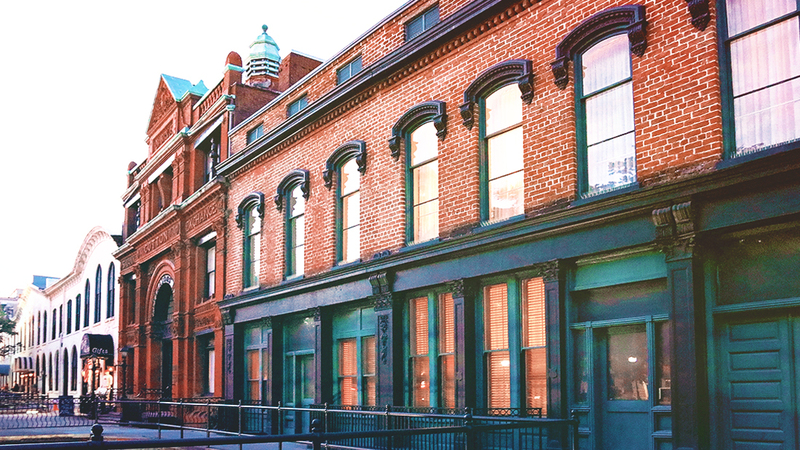 River Street is always bustling with activity — day or night — and the cobblestone streets are lined with the beautiful architecture of centuries-old buildings. Some locals say think it's a touristy area, but I think it's fascinating and you can find lots of hidden gems if you know where to look. 1. Head To River Street Sweets First! My first and favorite stop along the riverfront is to River Street Sweets. The heavenly smell of fudge is irresistible, and it's what lured me in the first time I ever wandered down River Street as a little kid. My friends and family always make a beeline for this old-fashioned candy shop whenever they're in town! 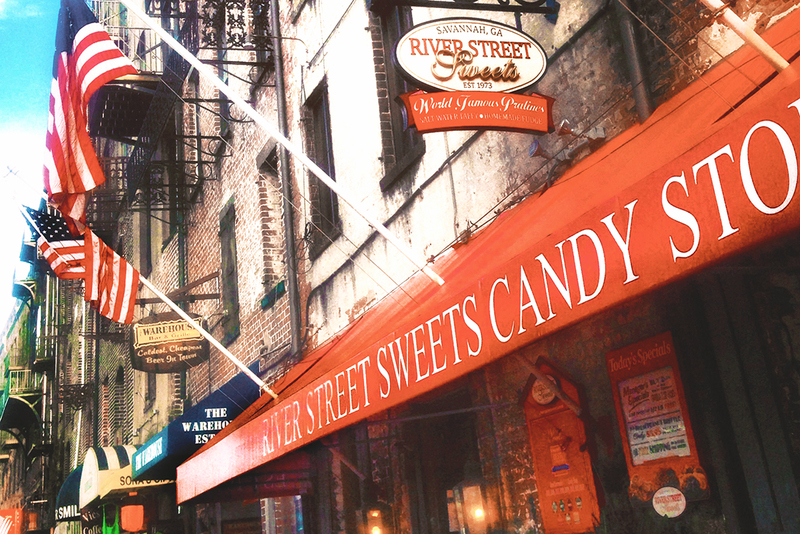 At River Street Sweets, it's hard to miss the bright red awning or the smell of fudge wafting out onto River Street. This old-fashioned candy store is the real deal! 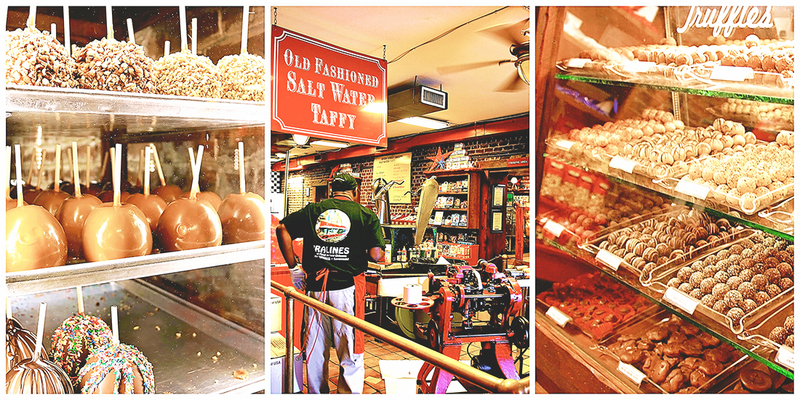 They have a taffy-making machine that's more than 100 years old, and their candy is displayed in beautiful antique wooden display cases. The store employees are very friendly, and some have been with River Street Sweets for more than 20 years! You can watch them make candies on huge marble slabs, ask questions about the process, and try samples. FYI: Kids LOVE visiting River Street Sweets! It may sound odd to some, but one of my favorite things to do on River Street is to explore the many mysterious nooks and crannies that showcase the hidden layers of the city. Savannah seems to be a city where nothing was ever torn down, and nowhere is that more apparent than along the river. 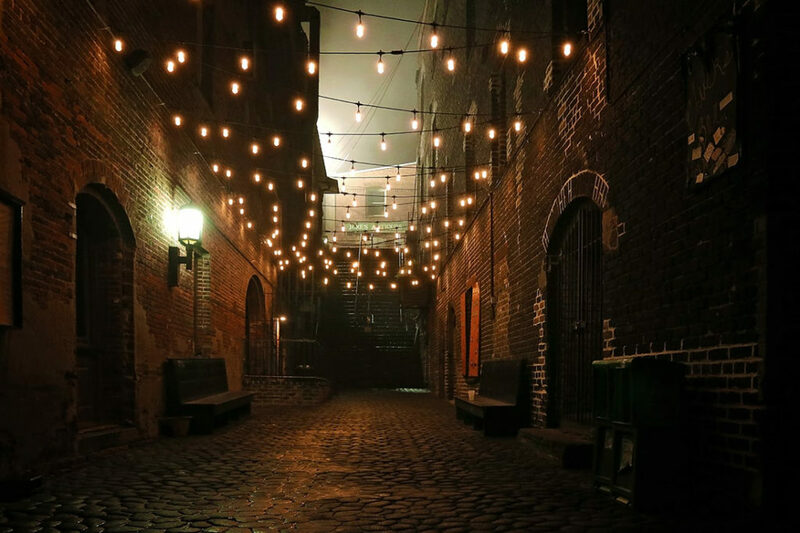 Buildings appear stacked atop older buildings, narrow alleyways lead to dead ends, and shadowy doorways beckon curious visitors to see what lies beyond…even though common sense (and warning signs) typically caution otherwise! 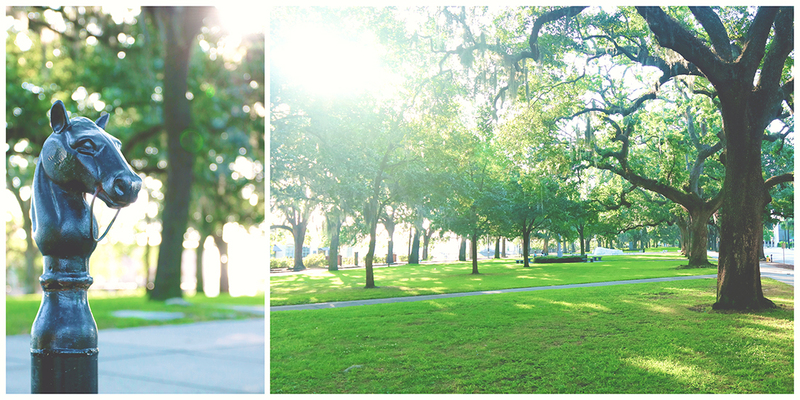 I can’t help it; I’m drawn to the unknown, and Savannah offers that in spades. The Factor's Walk area is one of my favorite places to explore! It's located along the back side of all the buildings facing the river on River Street, and it looks particularly beautiful at sunset. The historic Cotton Exchange Building looks beautiful when it's all aglow during the golden hour. This is where cotton brokers used to set the prices for cotton worldwide. Unique architectural details abound along Factor's Walk, like the arched windows along the storefronts and beautiful corbels at the roofline. The middle photo was taken from the lower level, looking up. In the third shot, you can see the open sidewalk under the Cotton Exchange Building. Be careful! It's a 30 – 40 foot drop to the bottom! INSIDER TIP: Obviously you should use common sense when exploring the back alleys of the river. Although the area is crowded with tourists and a few locals, sometimes troublemakers come around — particularly late at night. So many of the stairs to River Street are steep, old, and marked with yellow caution signs. 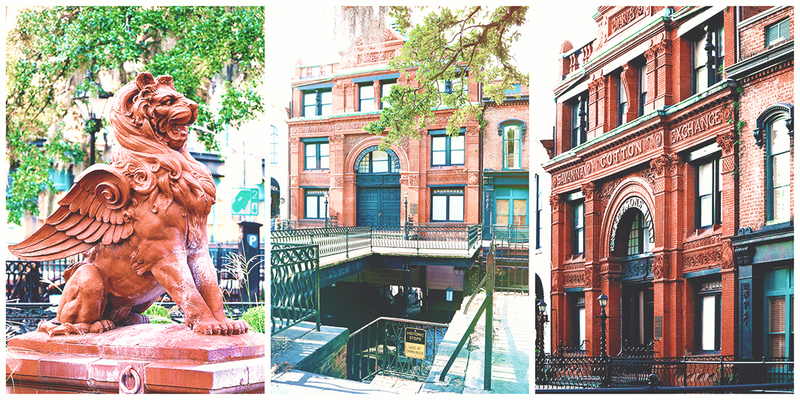 Still…I hope the city never revamps them, because they add to the charm and character of Savannah. 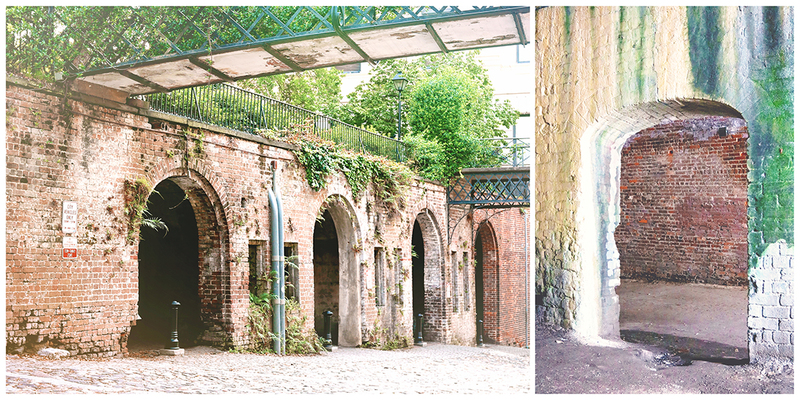 The Cluskey Vaults are one of the more interesting lesser-known landmarks in Savannah, in my opinion. There are markers in the entry to each vault that explain their history, and you're able to walk inside four of them to explore them fully. The ever-mysterious fifth vault is bricked over and sealed off. SCMPD's forensics unit investigated it in 2013 by inserting a camera into a small opening. They determined it was filled with dirt and warranted no further investigation. The Cluskey Vaults are located along Factor's Walk on the back side of River Street (between River and Bay streets). Many people believe the vaults once served as holding cells for the enslaved, but the city says there's no evidence to support that claim. Savannah is in the heart of the Deep South, which means it has a very complex racial history. Some claim these vaults were used as holding pens for the enslaved before they were taken to auction, while others disagree and say that can't be proven. I encourage you to visit for yourself, read the markers, take a look around, and then form your own opinion. The markers say it's an urban legend that any humans were ever held in the vaults, but I feel differently and treat the area with the utmost respect. I tend to work up a hearty appetite when I’m strolling along the river, but there’s no fear of going hungry on River Street! It’s packed with great restaurants that are perfect for taking a leisurely break to unwind and recharge. Many have balconies on the second level, offering a pretty view of the river and the street below (as well as a breeze, if you’re lucky). Huey's on the River tops my list for a filling brunch. 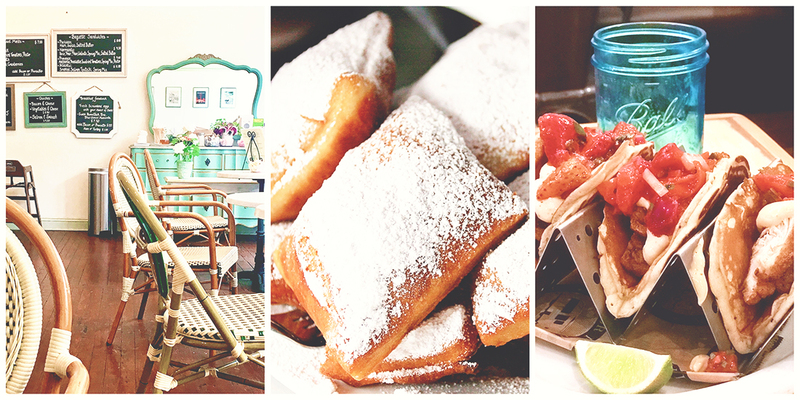 They serve New Orleans style food, and their beignets are addicting! Huey's faces the river and is approximately at the mid-point along River Street. 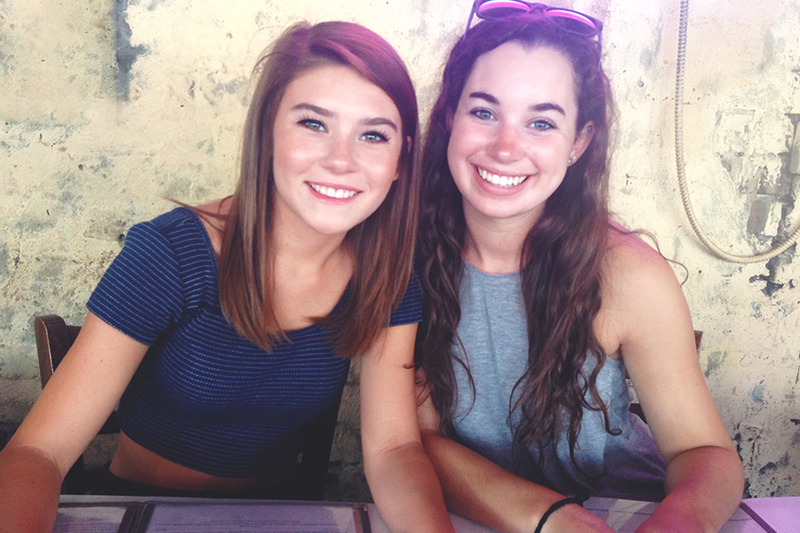 Daisy and her friend, Rebecca, anxiously await the arrival of brunch at Huey's. Rebecca is a New Orleans girl, so she knows good beignets! Cafe M (left) serves up delicious quiche and mimosas for brunch. Huey's (center) has the best beignets east of New Orleans. You can always count on Treylor Park (right) to find a unique twist with the incredible dishes on their menu! Cafe M is my top spot for a light lunch. The Parisian style cafe is beautifully decorated, and you can't go wrong with any of their sandwich offerings! It's on the street level of the Factor's Walk side. Olympia Cafe serves Greek-style food so tasty and reasonably priced that even locals are willing to deal with the River Street parking situation in order to grab a bite there. Vic's on the River is my top choice for a date night spot along the river. The restaurant serves some of the better steaks in town, and you'll be in a white tablecloth setting. Treylor Park is a great choice if fancy isn't your thing. It's actually one of my favorite restaurants in all of Savannah! Their menu is filled with Southern comfort food with a unique twist. For example, instead of chicken and waffles (a Southern staple), they serve chicken and pancake tacos covered in strawberries! Tubby's Seafood is on the second level (above Huey's) and it catches a great breeze from the river. It's a good spot for casual dining or if you have kids in tow. A lot of the food is fried, but there are salad options for the health conscious. The seared ahi tuna salad appetizer is filling enough to serve as a full meal and is my usual choice. If you're a true foodie, look into doing the Famous & Secret East Side Food Tour. It's in the Historic District and isn't too far from River Street. TIP: For traditional Southern style home-cooking, try fried okra, shrimp & grits, she-crab soup, pecan pie, fried green tomatoes, or mashed potatoes with gravy. Top everything off with a glass of sweet tea to quench your thirst! FYI: If you aren't accustomed to real Southern sweet tea, it's loaded with sugar. Wet Willie's is the perfect place to cool off after wandering around in the hot sun all day. (Think slushies for adults and that's pretty much all you need to know!) Their bartenders come up with some really fun combos if you're willing to let them select the ingredients. Kevin Barry's Irish Pub is a nice spot to relax, enjoy some live music, and possibly even meet a few locals. Top Deck is a rooftop bar on the top level of the Cotton Sail Hotel. It's a sweet spot to catch a sunset and some of the best views of the Talmadge Bridge. Rocks on the Roof is on the top level of the Bohemian Hotel and is another good spot for (slightly pricy) drinks and a great view of the river. Food is tapas style, but you can visit Rocks on the River in the same building for a heartier meal. A dimly lit alleyway leading to the stone stairs of death looks particularly eerie in the wee hours of the morning when no one is out other than myself…and possibly a few ghosts. If you prefer the speakeasy vibe, try Mata Hari's on Lower Factor's Walk. Like any authentic speakeasy, you'll have to ask around to find a key or uncover a password to gain entry. The hunt is the fun part! INSIDER TIP: If you don't mind venturing away from River Street, there are better bars further into town. W. Congress Street is a good place to start. 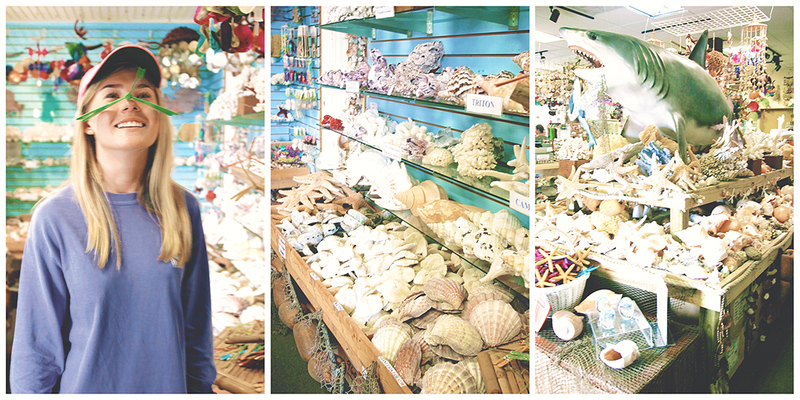 If you’re into shopping, the river area is a great place to find t-shirt shops, hats, bookstores, handmade jewelry, local art, photographs…and even a seashell shop! Save the higher-end boutique shopping for Broughton Street, which is located within walking distance a few blocks away. Wondering what to do on River Street in Savannah GA? It might surprise you to hear I wouldn't really recommend shopping. Most of the stores on River Street are touristy little shops, like this seashell shop. 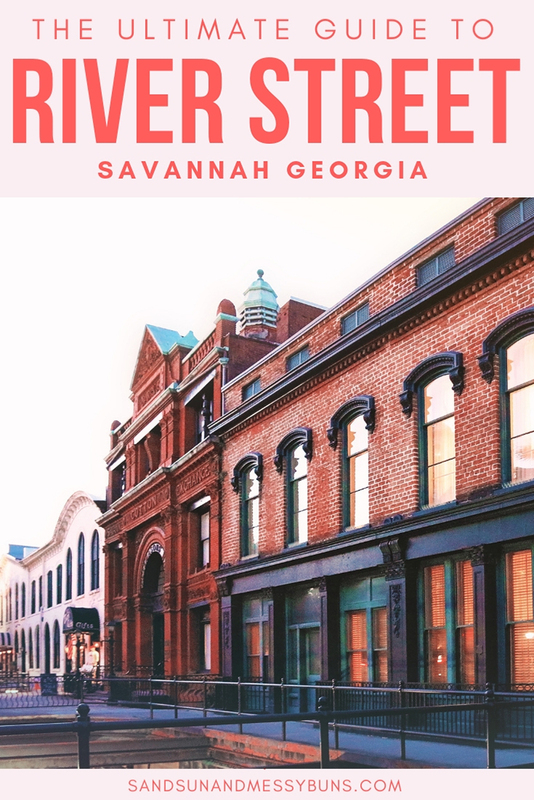 While River Street is primarily a touristy area as far as shopping goes, there are a few boutiques along the Factor's Walk side that have cute outfits, accessories, and home decor. 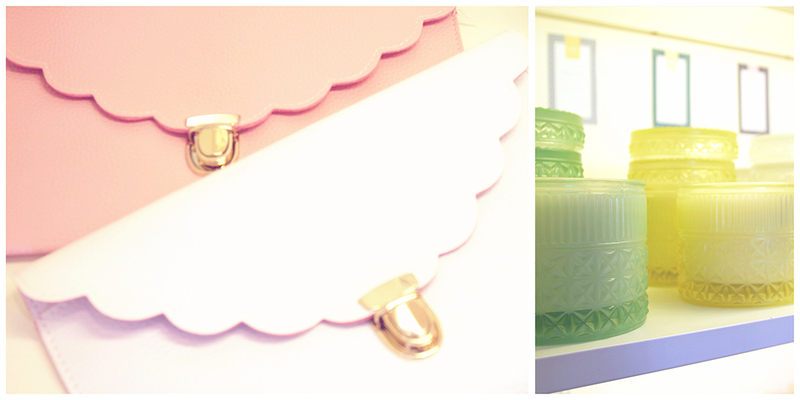 A selection of goodies from RMC Boutique on the upper level of Factors Walk. If you're a book lover, there's a cute little vintage bookstore called Books on Bay that's worth checking out. There are also some unique antique stores on River Street, so pop into a couple of those to see if anything strikes your fancy. If you prefer to view Savannah from the water, opt for an approximate 45-minute ride on either the Georgia Queen or the Savannah River Queen steamboat. Perks: The views of Savannah from the water are really pretty — especially at night when all the lights are reflecting off the water. You'll learn about the history of river commerce from a narrated tour given by the boat's captain. This is especially fun for kids who want to learn more about the tugboats, barges, and container vessels that constantly cruise down the Savannah River. Drawbacks: Skip the buffet options, since the cost for those is rather high and you'll find better meals elsewhere in town. Exception: The Holiday Gospel Dinner Cruise during December is worth the money! A moonlight cruise on the Georgia Queen steamboat is a great way to see Savannah's riverfront from a different perspective. INSIDER TIP: On a budget? 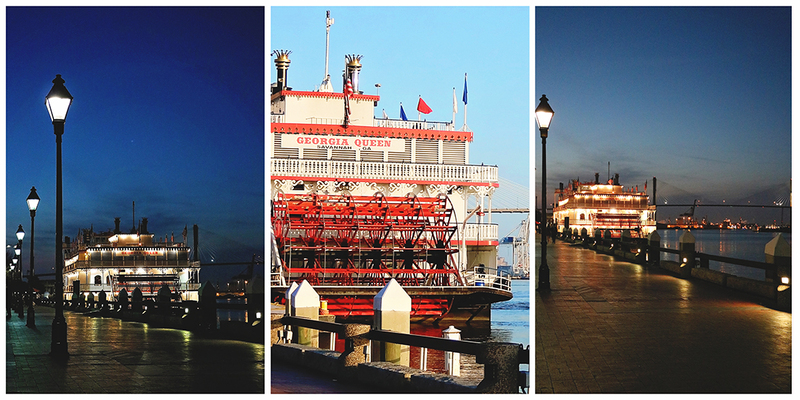 Take the Savannah Belles Ferry for free to get some amazing shots of Savannah from the water. It departs every 20 to 30 minutes from 3 boarding docks on River Street. View the locations and times here. Tickets: Check reviews about the Georgia Queen and purchase tickets here on Trip Advisor. Local legend Florence Martus was fascinated with passing ships. She welcomed an estimated 50,000 ships into Savannah by waving a handkerchief or a lantern (at night). Kids find her story captivating. Sailors often returned her greeting with a quick blast of the ship’s horn. The majority of the ships entering Savannah's port still honk to this day! Another statue that warrants a visit on River Street is the African-American Monument. It shows a family of four gathered together and hugging, with shackles at their feet. A Maya Angelou quote at the base of the statue provides the realest depiction of the suffering enslaved families endured as you'll find on any public monument in the city. 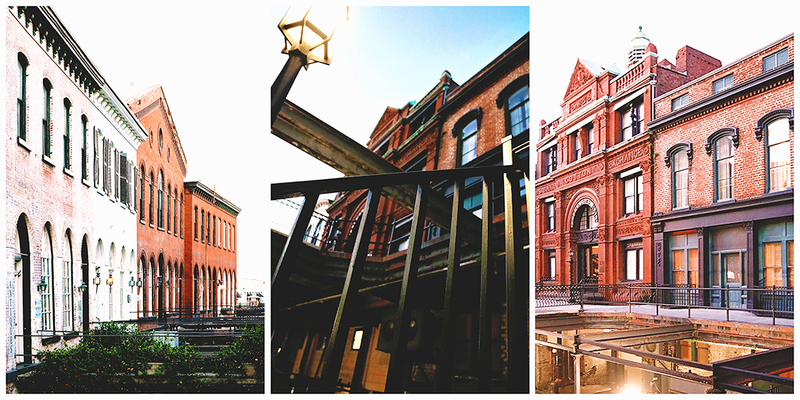 Finally, a day on River Street wouldn't be complete without a visit to the historic Cotton Exchange building. The façade of the building is stunning! I stand in awe each time I stare up at the details above the grand entryway. It looks like a scene straight from a movie set. The griffon standing guard in the fountain just outside the entry is a favorite spot for kids. This statue is actually a painstakingly accurate reconstruction of the original c.1889 one that was destroyed when a car crashed into it in 2008. Hey Erin, where are the safest places to stay in Savannah? I can't tell you how often I hear this question. If I had to guess, it probably ranks as one of the top 5 questions I get about Savannah. The truth is, if you're staying anywhere within the boundaries of the Landmark Historic District, you should be fairly safe. I recommend taking all the usual safety precautions you'd take in any city with a high crime rate. Keep an eye on your possessions, lock your doors, and don't wander around alone at night. Since this post is about River Street, I'm including a variety of options that are within a block or two of River and Bay streets. They're each good, but vary based on your travel style and budget. 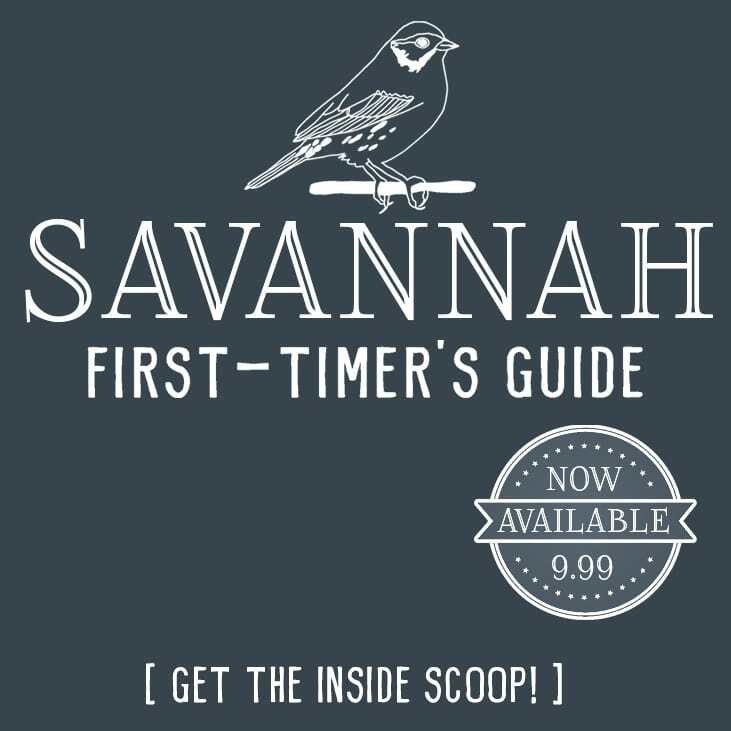 UPDATE: When purchase my Savannah First-Timer's Guide, I'll send you the link to a password-protected post that lists the pros and cons of each of the hotels in the Historic District, plus you'll get access to a map detailing each “zone” of the Historic District to help you decide where to stay. 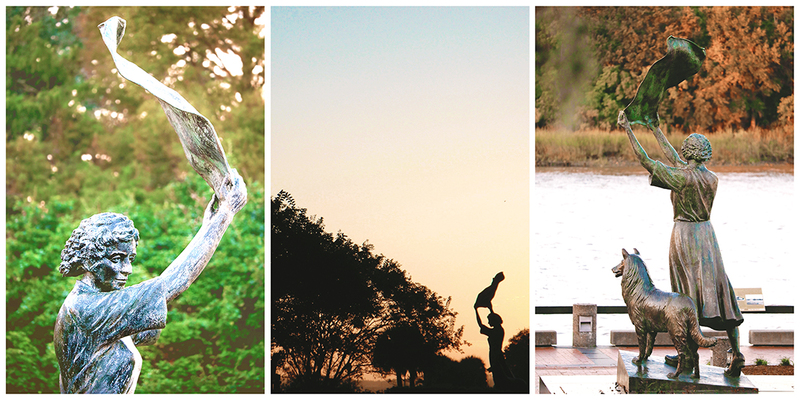 When traveling to Savannah, fly into the Savannah/Hilton Head International Airport (SAV). The budget conscious can “Catch at CAT” (Chatham Area Transit bus line) for less than $5 from the airport to Oglethorpe Street, which is 2 blocks from the Savannah Visitor's Center. I don't only write about River Street! You can find my other Savannah posts listed here. I also have a Pinterest board about Savannah that I update frequently. What is the cost to park at Emmet? $1 to $2 per hour, with no limit on how long you can stay. The meters cut off at 8pm (I believe), so anything after that is free. The far east side meters of the park cost $1 and closer towards the middle of River Street they cost $2 per hour. Hey Erin! Love this guide, thanks so much for putting it together! I’m coming to Savannah in May for my bachelorette party. 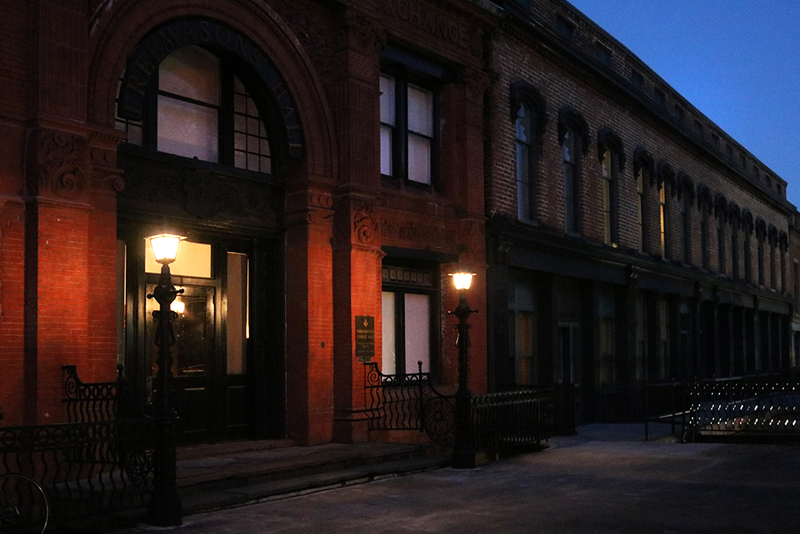 We want to see all the historical stuff during the day, but would like to find some rowdy places to visit at night. Do you have any recommendations for a group of girls could go with live music or a dance floor or that’s just generally fun and lively? Thanks! Oh fun! This is a popular town for bachelorette parties. You can bar hop all over the Historic District — north of Jones or so — with a drink in-hand bc of the open container laws. 🙂 There are lots of places in the Broughton St/Congress St area to keep you busy drinking and dancing (SEED, Tequila Town/El Rocko). People don’t stay in one place long around here. Just start on Congress or Broughton, then follow the crowds when they move and be sure to “take one to go”. There’s lots of live music throughout the area (Jinx, Barrelhouse, oh and Savannah Smiles is a dueling piano bar and they always keep the energy high — but it’s more family-friendly). For something different you could catch a drag show at Club One. If you prefer drinks somewhere a little more upscale, Peregrin is new(ish) and has great rooftop views. Planning a trip over Thanksgiving break. Any recommendations for entertainment or adventures. Can’t wait to try the southern cooking! I’ve been hearing so much about Savannah lately, I think it’s high time I make a visit! 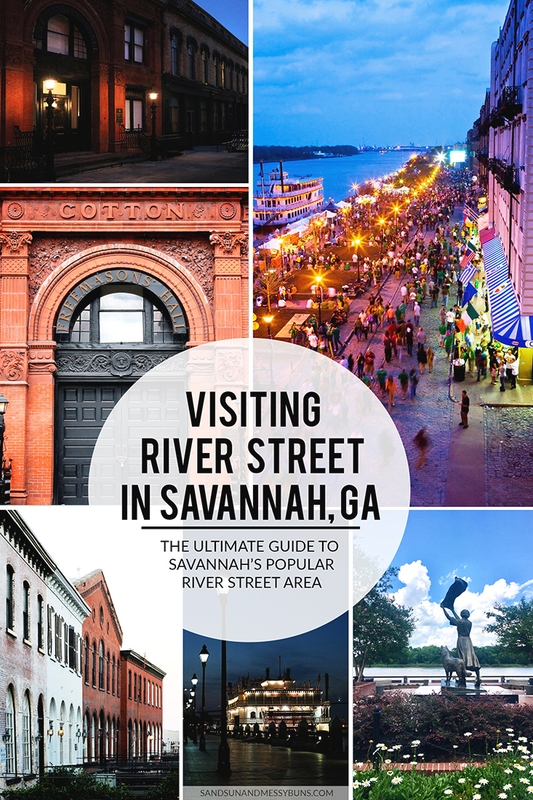 This is a great guide for the River Street section and I’ll definitely check out your other Savannah posts. As much as I’m usually a budget traveler, the Holiday Gospel Dinner Cruise sounds like it would be great fun! I lean towards budget travel myself, so I’ve tried to include lots of tips for like-minded travelers. The gospel cruise is pretty incredible! They have a 4th of July one that I’m planning to try in just a week or two so I can catch the lights from the water. 🙂 Hoping to get some good pics! Savannah seems so lovely and Gothic! I’ve always wanted to check it out after reading “Midnight in the Garden of Good and Evil”–now I have a guide! That book is still killin’ it for the tourism industry here, even after 15 years or more! 🙂 And yes, some parts are Gothic, some areas are very Victorian, while others are very Colonial in origin. Savannah runs the gamut in architectural styles. About the only thing you won’t find is modern (aside from one or two oddballs thrown into the mix). Thinking of visiting in September or October but want to include a few days at Tybee Island. Is it still warm enough to swim in October? It depends on what you’re accustomed to, but my daughter still swims in late September to early October. The water temps are probably around the mid-70s (I’m guessing)? The air temperatures are DEFINITELY still warm enough for swimming in September and October. That time of year is actually pretty ideal for visiting Tybee, in my opinion! I have heard about St. Patty’s Day in Savannah! I haven’t been to Savannah yet, but it’s definitely on my list! St. Patty’s Day is crazy here! I think we had half a million people visit this year? It used to be the 3rd largest St. Patrick’s Day party in the U.S., but I think I heard we moved into first place this year? I don’t doubt it! I believe it! It something to add to the bucket list. We have been to Savannah’s River Street many times but I don’t know where or how to get to shops on Factors Row. Please help. River Street is the cobblestone street that runs parallel to the water and has all of the shops and restaurants (River Street Sweets, Huey’s, etc.). The next parallel street up towards the city is called Bay Street. It’s a very busy street with lots of hotels and more restaurants on it (like Cotton Sail Hotel, Bohemian, Indigo, etc.). Factor’s Walk is actually BETWEEN those 2 parallel streets. You can drive to it, but it’s easier to access by walking. Park as close to Cafe M as possible — enter the parking area from Bay St. — and then take the stairs close to Cafe M down to the cobblestone street below. That cobblestone street is the lower level of Factor’s Walk (also known as Factor’s Row). Heck, if you have trouble finding it next time you’re in town, just contact me erin[at]sandsunandmessybuns[dot]com and I’ll meet you there to show you around! Omg your post is giving me serious Savannah feels! It’s been probably about 4 years since I’ve been there and I miss it! I will never forget Huey’s as long as I live. We went there the first time I ever went to Savannah and then every time after and they have the best french toast! I’m planning my trip next year and I just want to roam around the old buildings, your photos look amazing! It’s such a cool old city. Thanks soooo much for sharing!! My Fiance and I are going to Savannah next month and I’m trying to find something fun for us to do! The food looks so good. The food is so good! There’s no shortage of good restaurants in Savannah. For higher-end dining, try The Grey (very close to the river and within walking distance). For breakfast, Clary’s will load your plate with the best southern eats! Have a great trip! I have been on river street as well. My only recommendation is to stay off of it if you’re riding a motorcycle. Extremely rough ride.